So as I was making the annual Christmas meat pies today I realized that they are not really all that photogenic. Nor is there an exact recipe. My Dad was a chef. 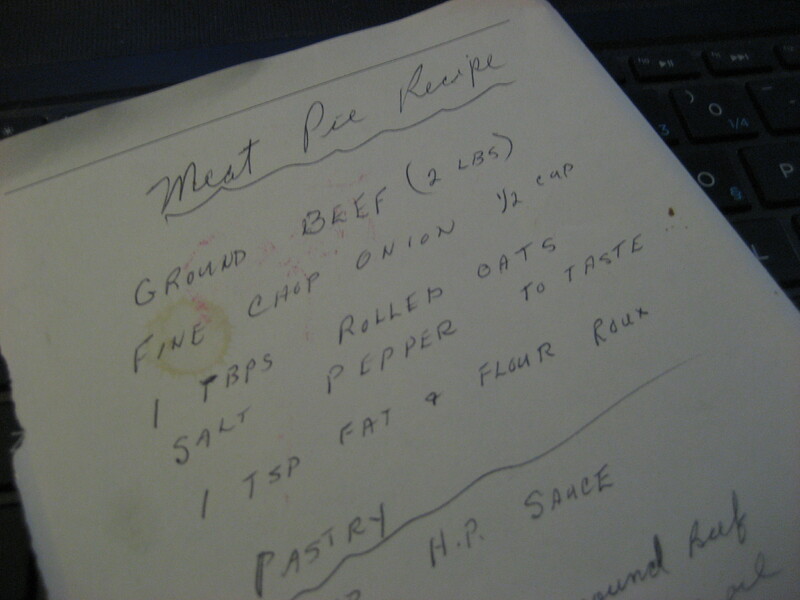 A few years before he passed away I asked him for the recipe. He wrote it out for me with no actual amounts, and no times or temperatures for baking. But I figured it out, as he knew I would, and I even made some changes to make it mine, as he knew I would. So to begin you need to make pastry. I make mine in the food processor – and I have to say that is the only way to make pie crust. 3 c flour, 1 teaspoon salt, 1/2 cup of both cold butter and shortening cubed, 1 egg beaten with 2 teaspoons of vinegar – to this add ice water until it makes 2/3 cup. In a food processor mix flour and salt, add the butter and shortening and pulse until mix becomes crumbs. With machine running add the liquid until it forms a ball. Form into 2 discs and wrap in plastic wrap and refrigerate for at least 1/2 hour. Then roll out on floured surface and shape/cut as needed. 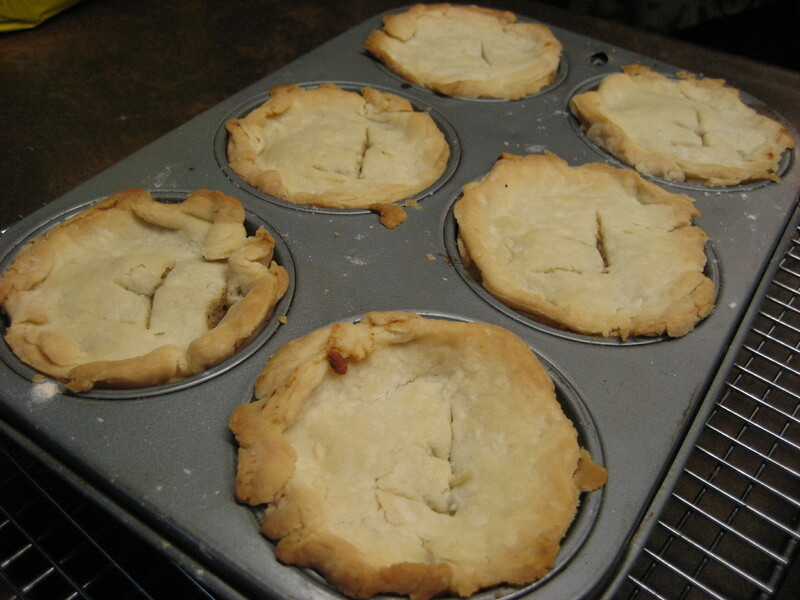 I make the Christmas meat pies in muffin pans so they are single serving size, but it also works as a full pie. 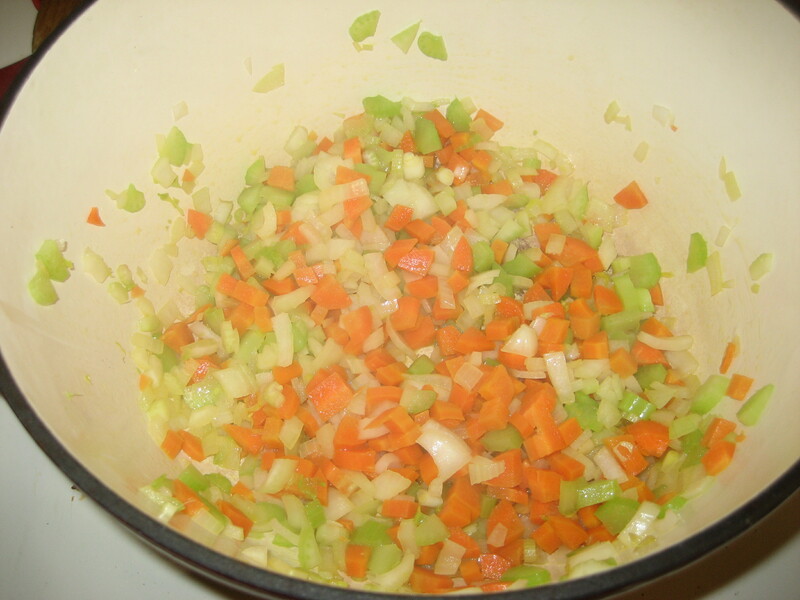 For the filling I finely chop about 1 cup each of onion, celery, and carrot and saute until soft. Remove to a bowl. in the same pot saute 3 or 4 lbs of ground beef. Add some salt pepper and 1 teaspoon of garlic powder. 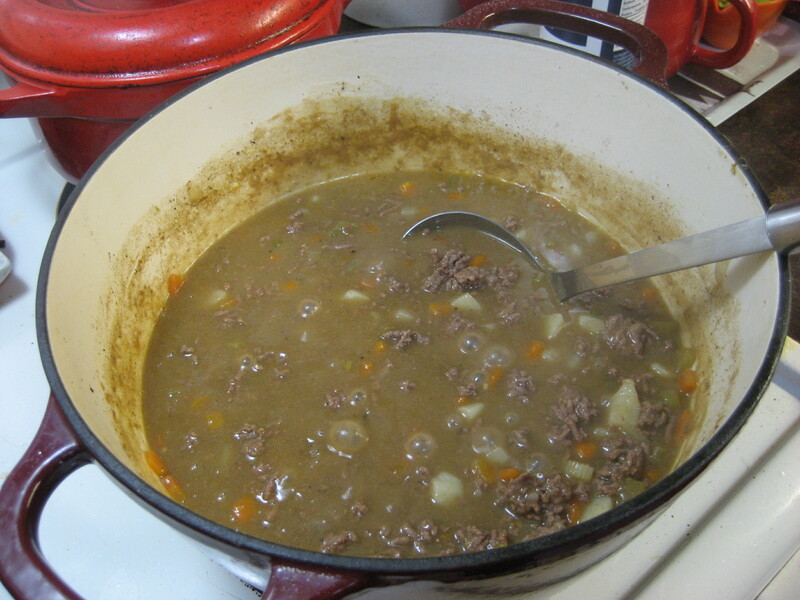 After the beef is browned stir in 1/4 cup of flour to absorb the excess fat, stir to cook. 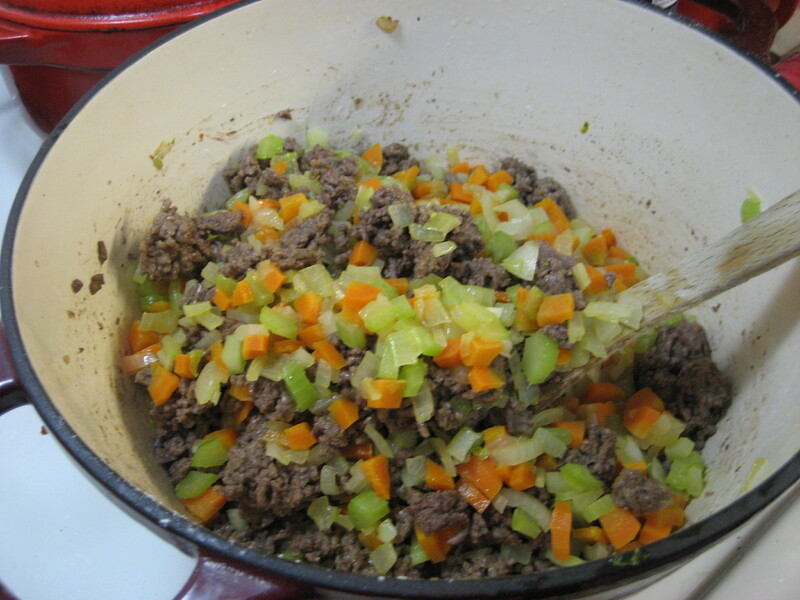 Put the vegetables back into the pot and add a carton of beef stock. stir and cook over medium heat util it starts to thicken. Add several glugs of Worcestershire sauce and two finely diced potatoes. Simmer until the potatoes are tender. 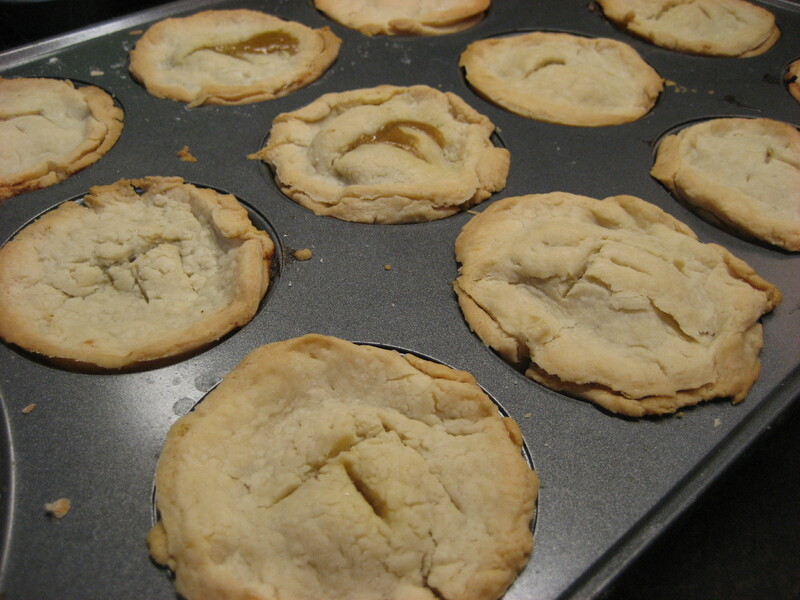 Fill your pie crusts, top with rounds of pastry cut holes to vent, and bake at 400 F …well until they look done. I guess I write recipes about as well as my Dad. I won’t claim they are pretty, but they do taste great. Now I will freeze them until needed at Christmas. Warm and serve with gravy. Yes we could still do that this year too. Next year I should try to use the same pastry and make a few with a veg fiiling!